One often overlooked area when planning, designing and selecting products for a hosted or on premises IP PBX is the actual phones that will be deployed. This is often because a phone is considered to be a simple phone, just like their analogue predecessors, so they are given little consideration. However as we will see in this article there are many differences between the traditional analogue desk phone and a modern IP phone and as a result we must carefully review and chose the IP phones so that they are fit for purpose and also economically viable. Unfortunately, with IP PBX and SIP telephony systems the phone that you provide the users will play a very significant part in the available services that they can utilize. Similarly, users do not come in one size, shape or form and they have varying telephone requirements with regards not just minutes usage per month, but with service features, and phone capabilities. For example a telephone in a reception area designated for public usage does not require the same services, functions and capabilities and the phone deployed for the receptionist. Other power users will include contact center representatives who will typically require a host of phone features and capabilities in order to optimize their efficiency and provide the best customer experience. Executives and senior managers may not require so many call management features as they are unlikely to be juggling three or four simultaneous calls but they will require direct incoming lines from partners, call conferencing and perhaps presence indicators and speed dialing for essential colleagues. Therefore, it is an essential part of the planning for IP PBX systems to carefully match the phone requirements to each job function or user in order to provide the required levels of service in a cost effective manner. This is not a simple as first appears because IP phones are surprisingly complex devices and expensive due to their inherent technology and features so buying the correct phone for the purpose is a major part of the budgeting process. Furthermore, IP phone technology has naturally evolved from the hugely successful analogue phone but an unintended consequence of this has been the confusing merging of existing analogue and PSTN terminology to fit the IP or SIP phones capabilities. This merging of diverse terminology is particularly unhelpful when comparing the phone’s line and call capabilities. One of the most poorly understood concepts of IP telephone systems is that of the difference between lines and calls. Perhaps this is not a concern with millennials who have only known digital IP telephone systems but for those of us coming from PSTN backgrounds the misrepresentation of the concepts of lines and calls simply adds unnecessary confusion. To understand the modern concept lets first look at how the traditional PSTN analogue telephone system worked. 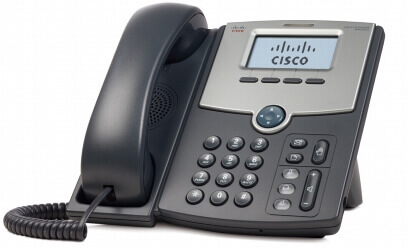 Essentially, a desk phone was connected to one line, which consisted of a single pair of twisted copper wires that ran from a socket close to the user’s desk back to a patch panel – to facilitate easier movement of phone extensions – and then on to the on-premises PBX. Most typical users had a desk phone with a single pair of cables, which was one line. Similarly, most IP systems would typically support one user per phone/Ethernet cable. However, advances in IP PBX and phone technology changed all that. The problems are that many users’ job functions require that they support multi line phones. For example a receptionist or secretary requires multiple lines in order to receive multiple simultaneous calls. This is because they have to answer and vet incoming calls before transferring the call to an executive or department. Therefore, in a traditional analogue system they would need a pair of copper wires per line (extension). This was easy to understand as there was a direct correlation between the number of physical copper extension lines and the phones capabilities to make, receive, transfer and connect many simultaneous calls. The confusion today arises because that requiring multiple physical extension lines is no longer the case with IP phones as they can support multiple simultaneous calls over a single Ethernet or Wi-Fi connection and this is where the concept of lines becomes blurred. Today, modern IP Phones can support many virtual lines each with direct dialing SIP addresses and each virtual line (extension) can support by default 3-4 calls. This gives the appearance of multi-lines support. However, these features are only locally effective as the phone is still dependent on their being the capability at the hosted or on-premise PBX to make the VoIP call or their to be available T1/E1 channels on the PSTN PRI line or SIP trunk to make an external call. Therefore the IP phone may well have the capabilities to support 4, 8 or 12 lines but they are dependent on their being free lines at the PBX. Moreover, there is no longer the physical requirement to physically segment extension lines as each IP phone can support multiple extensions and inbound direct-dial access as the IP PBX now handles robust intelligent call routing and management. Therefore, the PBX can automatically answer and direct all incoming calls from senior colleagues, business partners and friends and family and announce the caller ID before the user accepts the call. Therefore there is no need to physical assign business or personal calls to their own phone line. Similarly, the requirement to segregate outbound calls perhaps say on a local, long distance or on a service provider basis due perhaps to line quality or cheaper charges is no longer required as this is easily managed at the IP PBX using outbound call rules. As we have seen modern IP PBX intelligently route and manage the processes of call answering, automated call distribution and call transfer so the requirement for a dedicated direct dial virtual line on a phone is no longer essential for segregating incoming calls. So why do modern IP phones have the number of lines supported as being the most visible differentiator between models? There are several reasons why users would like to have the appearance of multi-line service. One reason is still the separation of business and personal incoming calls, despite the IP PBX’s call routing capabilities some still prefer to have a dedicated direct-dial inbound extension specifically for personal calls. Similarly, programmable lines on the phone can be configured with extensions of a partners PBX, which enables cost effective calls and easy and efficient dialing. However, the most common use of these line-appearance programmable keys is to enable speed dialing as each key (line) can be programmed for a VIP number. Another common usage is to configure the key to a SIP ID in order to track the presence indicator of a colleague or business partner, this is more common today in collaborative working environments where remote teams require frequent communications perhaps across time zones. Call conferencing is another common reason to wish to have a dedicated line. So Apart From Lines and Calls What Other Features Does an IP Phone Need? 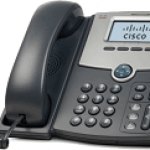 The features and functions commonly deployed in IP phones cover basic telephony features such as call waiting, voicemail, call hold; call transfer and automatic redial as well as the basic functional requirements of speakerphone and intercom capability. Where phones differentiate is typically in the number of programmable and preset function keys and the availability of status indicators such as message waiting, speaker-phone, headset, shared line, and mute indicators. Other common differentiators may be in the additional features included such as music on hold, on hook dialing and an in build web server for online configuration, administration and reporting. Similarly there may also be differences in the functions on offer within each product in the vendors range such as a pager call, in-built clock and a call timer. Other network features are becoming more important such as the protocols supported, which may include options for Bluetooth, 10/100/1000 Ethernet, Wi-Fi as well as security, encryption and QoS (Quality of Service) configurable options. However, as most of these features and functions are typically requirements or are cheap to include there doesn’t appear to be much at this level to differentiate or justify the price differential between models other than the number of lines (programmable keys) supported. The simplest way to go about this is to review how leading vendors differentiate their product range to meet the diverse requirements of the modern small business and enterprise. 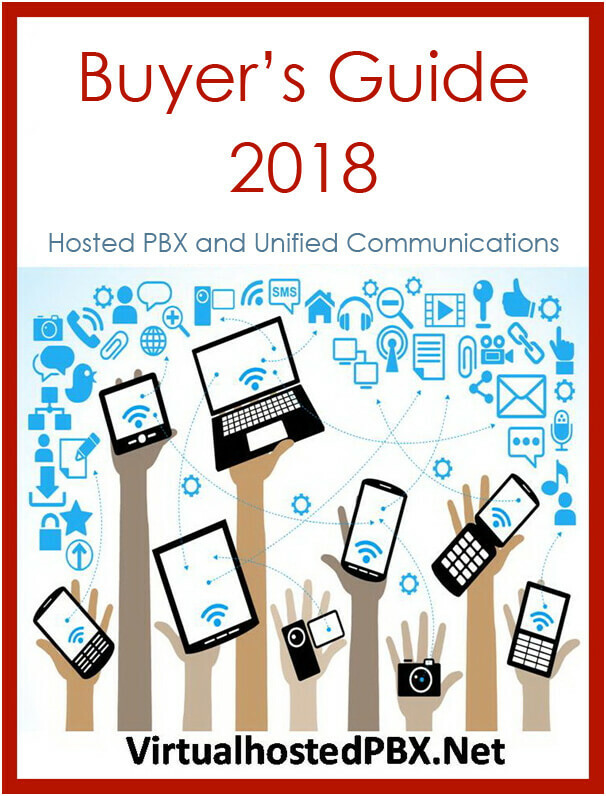 As a result we will take a look at some of the hosted PBX vendors most recommended, supported and frequently supplied IP phones. In the modern small business there is a requirement for a range of phones of varying capabilities to provide the required level of benefits to the individual user. User requirements differ from users that require only basic telephone features to those that use the phone as a multi-media capable productivity tool, and there is no one phone that suits all, well not one that is financially viable. Polycom therefore address this issue by providing a range of phones from basic entry level devices to fully featured multimedia capable touchscreen phones that provide a unified communications experience through voice and video for executives and power users. In general the VVX range of SIP phones have been developed to provide technical innovation and capabilities in the fields of HD voice, video and content sharing. The goal is delivered through delivering phones that are broadly interoperable with hosted and premised based IP PBX systems through the compliance with industrial standards for VoIP, SIP and video. This makes the Polycom VVX an attractive proposition for IP PBX service providers as they are easy to provision, configure and deliver pre-configured so that the customer’s installation experience is simply plug and play out of the box. Additionally, Polycom phones are designed to be easily integrated with third party applications and services through configurable APIs (Application Programmable Interface). This may sound ambitious and complicated but for some businesses integrating the PBX phone system with their CRM data base is a necessity and Polycom phones are designed to allow this level of integration at the phone level. An example of this is that across the entire range contacts can be accessed via a shared database enabling users to logon to any phone and have all their contacts and profiles immediately to hand. However as previously noted not all phone users require the same level of functionality and it is not cost efficient to provide phones with feature sets to users that will never benefit from them. Therefore any phone product range targeting the small business market must have a comprehensive variety of phones to meet the needs of a diverse workforce.